Sol'Jibe, the number 1 band from the Reno/Tahoe area for the past 3 years, are now poised to break on to the International touring circuit. Blending American roots, world beat, and Latin rhythms into an inspired sound that has been dubbed "World Pop,” Sol'Jibe creates a high-energy performance that gives its audiences an irresistible desire to dance. Their eclectic sound draws from extensive travels to Spain, Cuba, and Central America where they studied folkloric rhythms and culture. Sol'Jibe has been honored to provide musical support for such acts as Michael Franti, Robert Randolph, and Steel Pulse, while independently staging upwards of 200 festivals and shows yearly across the United States, Mexico, Canada and Cuba. “Sol’Jibe proved itself one of the hardest working and most delightful new finds...winning new fans every time [they] played.” (Honest Tune: The American Journal of Jam & Roots.) The group also strongly believes in musical education and has provided clinics and performances throughout the western United States to students at High Schools and Colleges, and community groups comprising all age groups and demographics, since 2005. Sol'Jibe's high-energy percussive sound and musical innovation was inspired by a trip to Spain in 2002 where classically-trained violinist, lead vocalist/songwriter, and guitar player, Tim Snider had a clear vision of fusing diverse styles of music. His open approach to writing and arranging drove him to choose these diverse and exceptional musicians from the acclaimed Jazz Department at the University of Nevada, Reno in pursuit of his goal: saxophonist James Hoover, keyboardist J. Cowell, bassist Fernando Flores, and drummer Justin Kruger. A solid grass roots following and consistent touring have provided the foundation for Sol'Jibe to gain national momentum and international recognition. 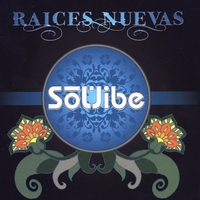 With a new team of management, booking agency, and record company having been assembled over the past 6 months, and the upcoming release of their fourth album, "Raices Nuevas", Sol'Jibe will be taking their live show on the road throughout North America and around the globe. It is apparent that Sol'Jibe is not only maintaining their initial spark of inspiration and drive, but are further pushing the boundaries of independent music and fusion.